The year 2015 marks the seventieth anniversary of the liberation of the Nazi concentration camps and the conclusion of the Second World War. But around the world, oppressed and imprisoned people are still longing for freedom and asking, “What does it mean to be free?” This collection of poems explores that question. 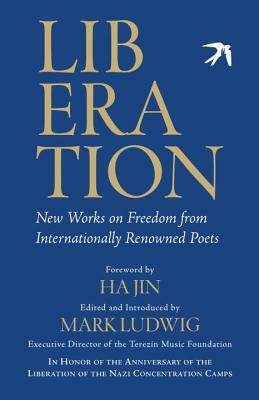 In honor of this anniversary, some of the world’s top contemporary voices—including Rita Dove, Robert Pinsky, Jay Parini, Yusef Komunyakaa, Agi Mishol, Tsering Woeser, Han Dong, Ernesto Santana, and Richard Blanco—have written poems on the theme of liberation as it inspires them personally and creatively. Nearly all of their poems are published for the first time in this volume. The result is an artistic representation of the universal yearning for freedom from twenty-five countries—and countless stories of oppression, imprisonment, and liberation. Here are Afghan women writing in secret, Tibetan and Cuban dissidents, memories and hopes inspired by topics from Fergusson to the Middle East, from illness to spirituality to joy in nature. This collection demonstrates the power of art to heal and to bring attention to freedom as a universal human right. Lyrical, uplifting, contemplative, sometimes angry, sometimes hopeful, always masterful, these are enduring poems to enrich and inspire. Mark Ludwig is the founding executive director of the Terezín Music Foundation (TMF), dedicated to preserving and performing the musical legacy of composers imprisoned in the Terezín concentration camp and all artists lost in the Holocaust. By commissioning new works of composers and poets, TMF strives to fill the silence these great artists left and to use their legacy as a vehicle promoting dialogue and freedom of expression. Mark lives in Boston, where he is also a member of the Boston Symphony Orchestra.